Fungus on the scalp is one of the leading causes of hair loss and slow hair growth. You may think fungus? Wow that is nasty, surely I do not have any type of fungus activity growing on my scalp. More people have fungus activity retarding their hair growth and giving them scalp problems than they realize. How would one know if they have a fungus issue? Fungus activity can produce: itchy scalp, sores, extreme dandruff, crawly feeling on the scalp, sore spots, bald spots and slow hair growth. However symptoms are not always present or can be dismissed as something else. If your scalp is clean but it still feels crawly itchy then fungus growth may be your issue. How do we pick up fungus? 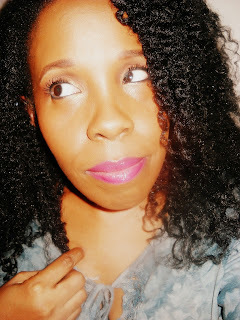 There are many ways but some common ways are: dirty head scarf, any type of dirty hair attire, your pillowcase, from your pets, from your combs and brushes and many other places. When you groom your hair then leave your comb out on the counter you leave it vulnerable to fungus and bacteria growth. This also goes for any hair accessory or hair tool you use. You should clean your combs and brushes daily but most people do not. People who love to practice the baggy method and try to use the same bag over several times leave their hair extremely vulnerable to fungus and bacteria growth. The clear conditioning caps are disposable meant for one use only. You can purchase barbicide cleaner from any beauty supply store at a very low price, this is a good investment in keeping your hair tools clean and free of bacteria and fungus growth. So how do I get rid of fungus growth? If your scalp is really bad you should see a dermatologist. You can also purchase over the counter anti fungal creams from the drug store. For those who desire a more natural approach there are many essential oils that your can use 3 times a week to prevent fungus from growing on your scalp. Below is a list of products which are anti-fungal and also some which are antibacterial. I suggest having at least 3 of these product in your beauty cabinet. Sublime sulfur: can be found at some pharmacies or online. Garlic: fresh crushed garlic applied to hair. 1. Choose 4 ounces of a carrier oil (above), then add 7 drops of 3 of the (above) essential oils. Example: 4 ounces of sunflower + 3 drops of peppermint oil+ 3 drops of tea tree oil + 3 drops of clove oil, shake and apply to your scalp daily for week one, weeks two/three apply every other day, week four apply twice a week until scalp becomes free of itch and any bald areas start to grow back. Continue using twice a week up to 8 weeks. 2. You can mash some fresh garlic into a pulp and apply thoroughly to your scalp allow it to stay on scalp for 10 minutes then shampoo and DC. 3. Cut a piece of onion and rub it onto your scalp and allow to sit for 15 minutes them proceed with shampoo and deep condition. 4. Sulfur mix: mix 1 tablespoon of sulfur with 8 ounces of a carrier oil. Apply to your scalp every other day until you scalp feels better. After you have completed 8 weeks of using the oil therapy and your scalp no longer itches and your growth appears to be coming in healthy and at a good rate, then adopt better hair care practices. Keep your combs and hair tools clean with disinfectant, change your pillow cases every other day, laundry your scarfs after each use, clean all head gear and never reuse plastic conditioning caps when you baggy, shampoo your hair twice a week. Daily use of natural oil which are anti bacteria and anti-fungal will keep fungus away from your scalp also. No time to make your own mix, there are many companies you can purchase a sulfur oil from. One company is Liquid Gold Products they make a sulfur mix hair growth oil that increases your hair growth in 4 weeks and heals your scalp of fungus growth. I recently used this product in a challenge and in 4 weeks my hair grew 3/4 of an inch, that is a big improvement from my average growth of 1/4 of an inch per month. Order your sulfur growth oil here liquid gold products. Join our ongoing challenge in Facebook groups called, "The CoilyQueens Liquid Gold Hair growth challenge". You must have a facebook account to sign up. This challenge is interactive. Join us where you will have a support team to answer your pressing hair questions and to keep you motivated. Purchase your sulfur products and sign up for the challenge here. Thank you for this info on itchy scalp. I had been using salicylic acid to calm the itch, but it was taking my hair out. I stopped using it and my hair grew back only for my hair to now start breaking off again and I can't go more than 4/5 days without washing my hair because it's so itchy. I'm going to try this. would it work if i just use onions and not oils for preventing fungal growth? Yes that would work. It is just messier and takes more time. But it works. Thank you for the kind remarks. Welcome to the world of blogging! I will check out your page. Thank you I am on anti fungal treatment prescribed by my Doctor,I shampoo daily with Selsun,Nizoral,hand and shoulders,tar shampoo and Condition after.Its been 2 weeks still itchy but improving any other tips as I have bald patches as well?